July 7, 2015, 12:06 p.m.
AIR has come up with suggested rates of compensation for those who do freelance work for podcasts, where a new injection of for-profit companies is complicating the math of public media. By Joseph Lichterman @ylichterman July 7, 2015, 12:06 p.m. In an effort to establish benchmarks for how much freelance audio producers should be paid in the new medium, the Association of Independents in Radio has released a new guide and standard contract outlining standard rates for various types of segments and work. AIR, an advocacy group for independent radio producers, has previously worked with NPR and other public media outlets to establish freelance pay rates, but this is the first time AIR has explicitly addressed payment for work on podcasts. AIR categorizes the rates into three different production levels, and the suggested podcast rates are identical to the freelance rates AIR negotiated with NPR in 2012. There are, however, a handful of differentiating guidelines that are unique to podcasting and that reflect the medium’s increasing commercialization. The pay scale is set on three levels based on the type of piece being produced, the length of the piece, and the producer’s experience level. Level 1 pieces are the lengthiest and most time-consuming to produce. AIR’s suggested rates range for $1,500 for a Level 1 story from a very experienced producer to $375 for a Level 3 story from a novice. AIR also suggests rates for charging for podcast pilot ideas, tape syncs, and other types of work. AIR recommends that freelancers producing pieces for on-air broadcast negotiate at least a 5 percent rate increase if the piece is then redistributed as a podcast. AIR also suggests that producers charge for-profit outlets more than nonprofit entities, but it also acknowledges that the distinction between the type of podcast content being produced by public and for-profit media is lessening. NPR, WNYC, and WBEZ held an upfront for advertisers in New York this spring, and Ira Glass made waves when he said “public radio is ready for capitalism.” For-profit entities such as Gimlet Media and Slate’s Panoply Network are producing quality podcasts with a tone that listeners might typically associate with public media. In addition to the suggested rates, AIR has also released a standard contract template that offers a starting point for agreements between freelancers and commissioners. The standard contract maintains that the podcaster retains the copyright to all the work that’s produced and also includes a “kill fee” of 50 percent of the agreed upon fee for work that’s killed after significant work has begun but prior to completion.” A completed piece that never airs would be paid for in full, according to the contract. A principal (and exciting) difference in the landscape is that ambitious podcast producers are cultivating audiences that not only listen avidly, but also are willing to put money down to help support their favorites. There are promising opportunities for indies to generate funds outside the subsidized public radio economy via crowdsourcing platforms, live performance, or direct solicitation from their core group of listeners. Some are further aggregating these micro-audiences into networks to attract advertising revenue. Photo by Francois Schnell used under a Creative Commons license. POSTED July 7, 2015, 12:06 p.m.
Lichterman, Joseph. "As podcasts grow, the podcast freelance economy takes shape." Nieman Journalism Lab. Nieman Foundation for Journalism at Harvard, 7 Jul. 2015. Web. 24 Apr. 2019. Lichterman, Joseph. "As podcasts grow, the podcast freelance economy takes shape." Nieman Journalism Lab. Last modified July 7, 2015. 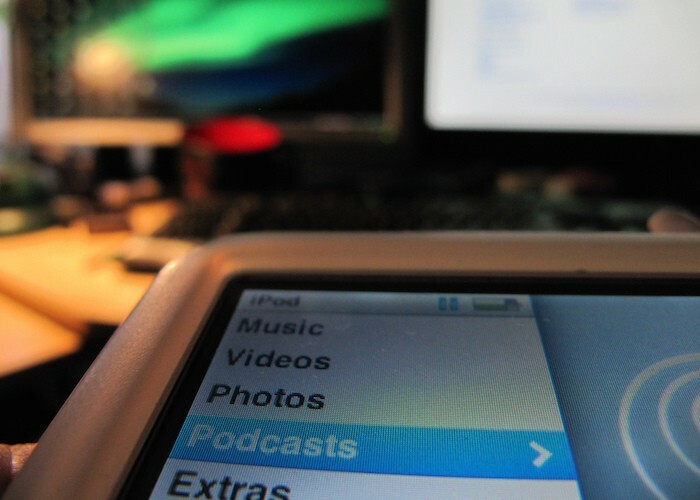 Accessed April 24, 2019. https://www.niemanlab.org/2015/07/as-podcasts-grow-the-podcast-freelance-economy-takes-shape/.